June 6 might seem like a sleepy day in Houston, as those who aren't drying out from the recent rains are probably recovering from dancing all night at Free Press Summer Fest. 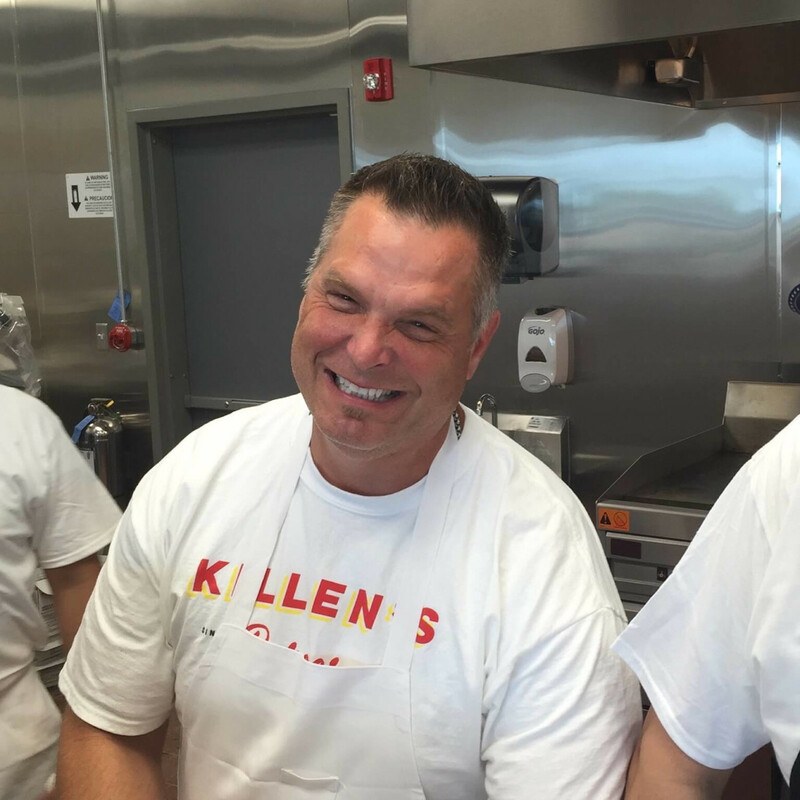 However, today has great significance for Houston restaurants. Four of 2016's most eagerly anticipated new spots are making their public debut today. Here's a basic rundown of what to expect. 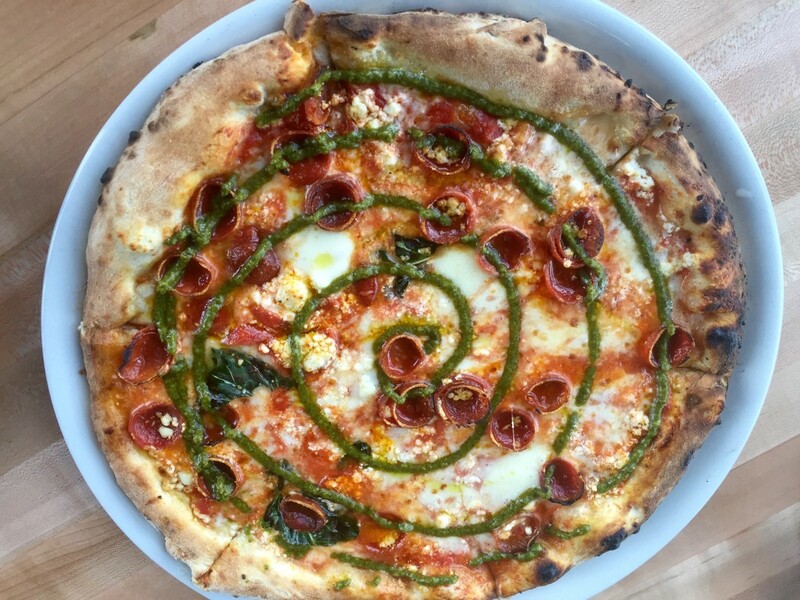 After a year-plus process, the first Houston location of the Dallas-based Neapolitan pizza chain is now open for dinner service (lunch will follow in a few weeks), and it joins the spate of new arrivals that have made the intersection of Shepherd and 19th Street Houston's newest restaurant row. 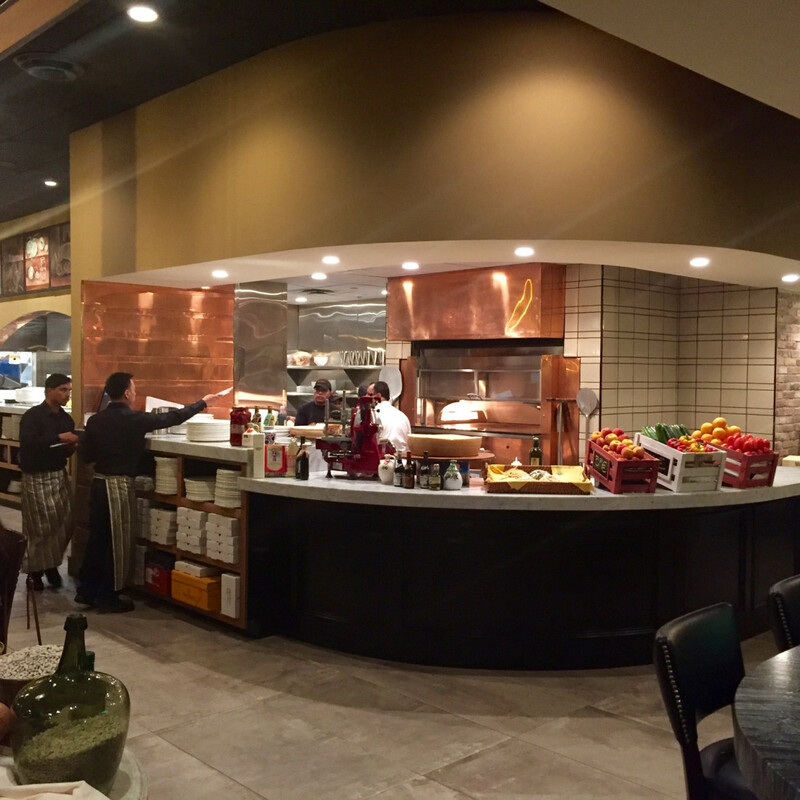 The sleek design affords every table a view of the massive, golden, wood-fired oven that's been imported from Italy. 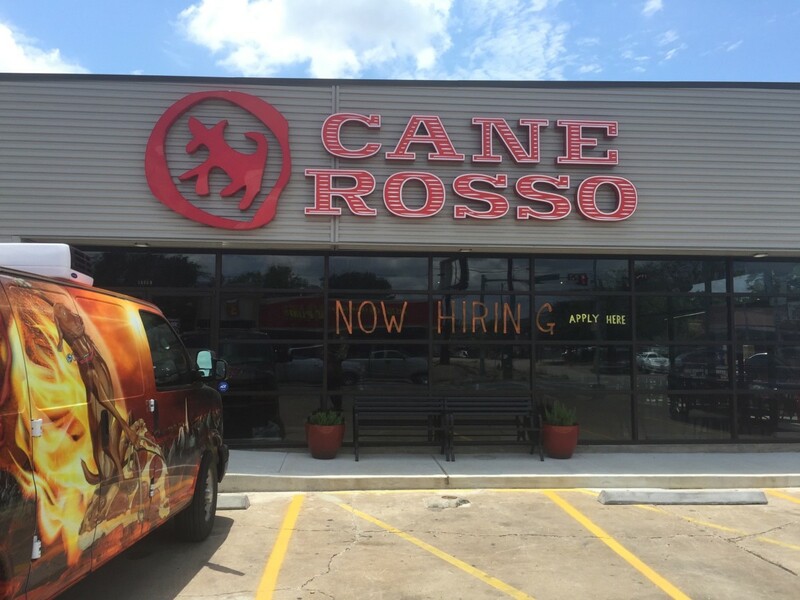 On the menu, diners will find both the rigorously authentic pizzas that have earned Cane Rosso national acclaim as well as a diverse menu of starters, pastas, and sandwiches. 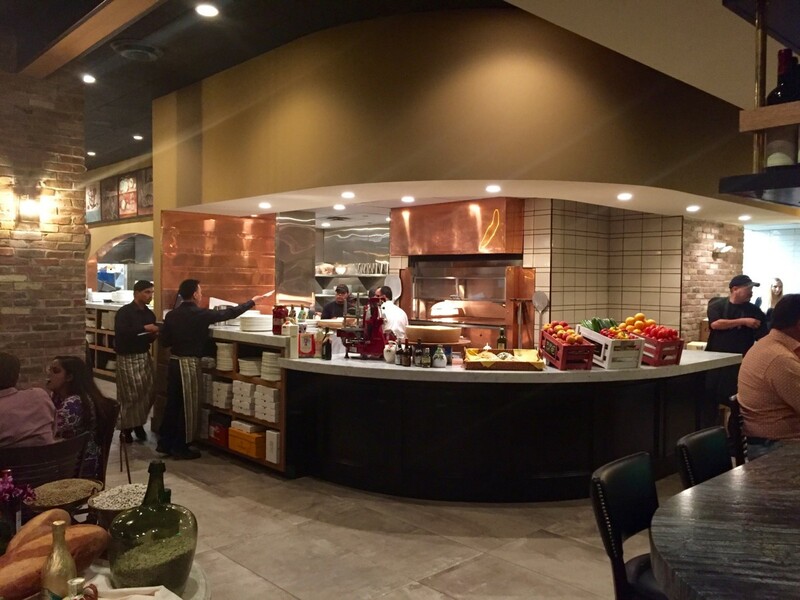 If a visit to an invite-only preview Saturday night is any indication, classics like the margherita will hold their own with local favorites like Dolce Vita and Pizaro's, but Cane Rosso truly sets itself apart with its creative toppings. 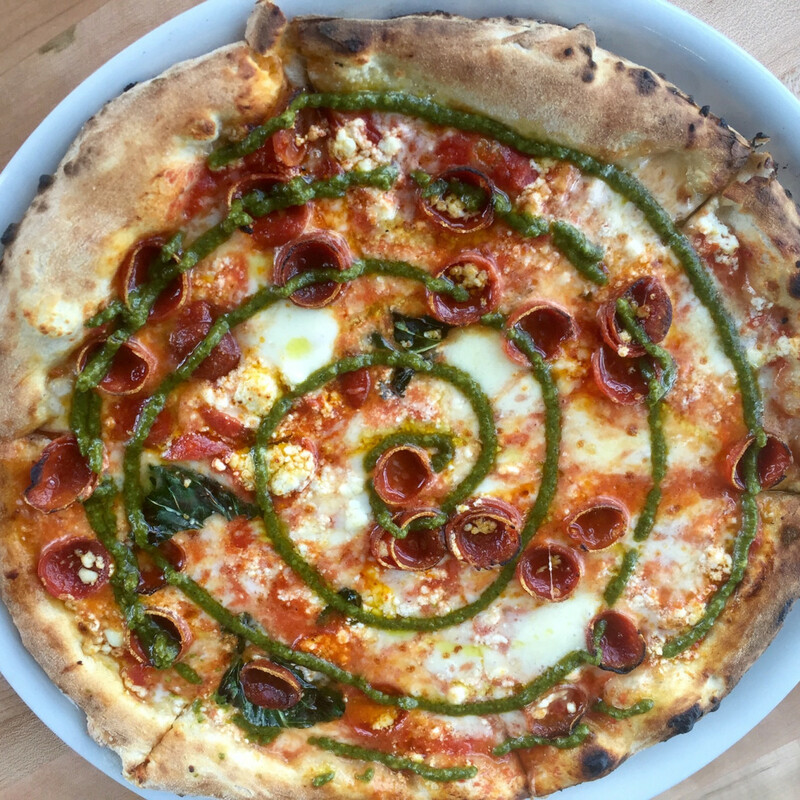 The Joan Marie — created exclusively for the Heights location — blends pepperoni cups, goat cheese and spiral of jalapeno pesto for a pizza that's spicy, tangy, and salty in a good way. Beverage options include nine taps of local craft beer (Saint Arnold, Karbach, 8th Wonder, and Buffalo Bayou are all represented), as well as wine and cocktails. 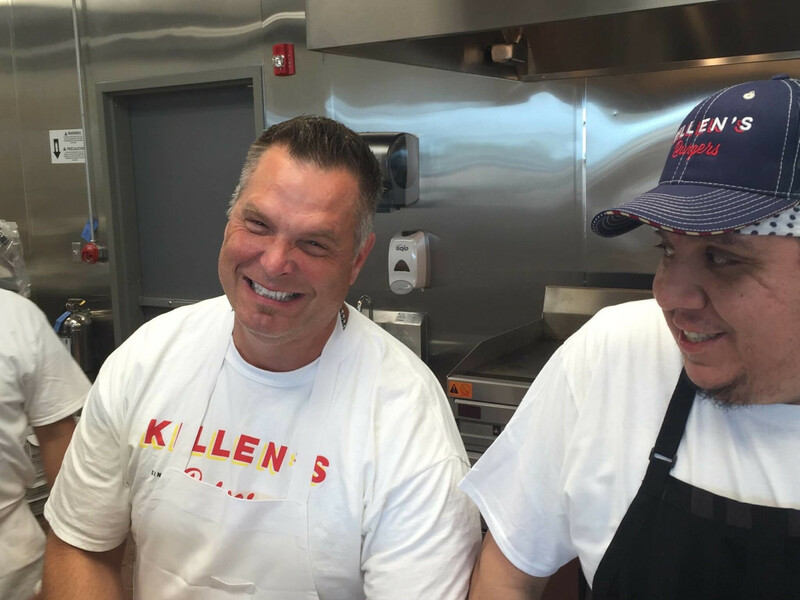 A comprehensive renovation has transformed the former Killen's Steakhouse into Killen's Burgers. Light beams in from all new windows, while a checkered floor, pictures from Pearland's past, and a jukebox all set the space's retro theme. Like the nearby barbecue joint, the wall already sports a signature from Houston Texans superstar J.J. Watt. 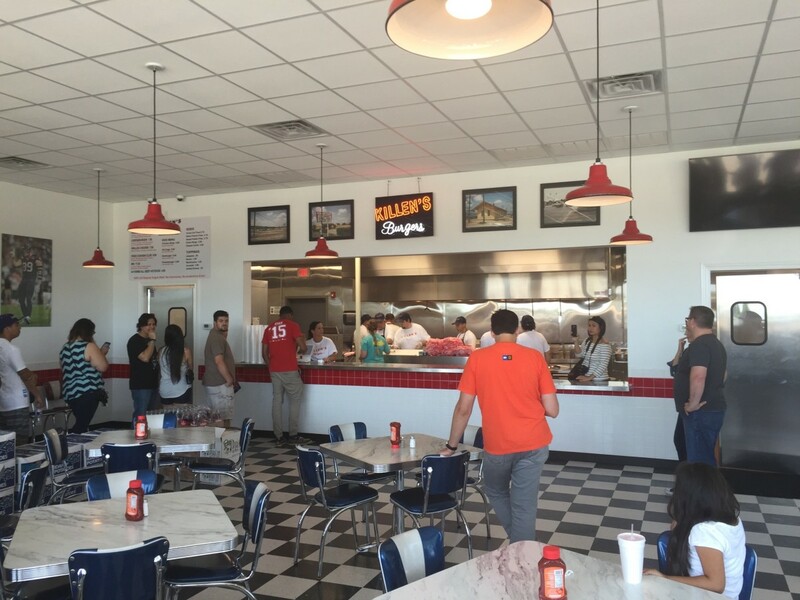 An open kitchen gives diners a view of the griddles and fryers that serve the tidy menu, which for now only consists of a burger, a cheeseburger, a grilled chicken sandwich, a fried chicken sandwich, a hot dog and sides (fries, onion rings, cheese curds). 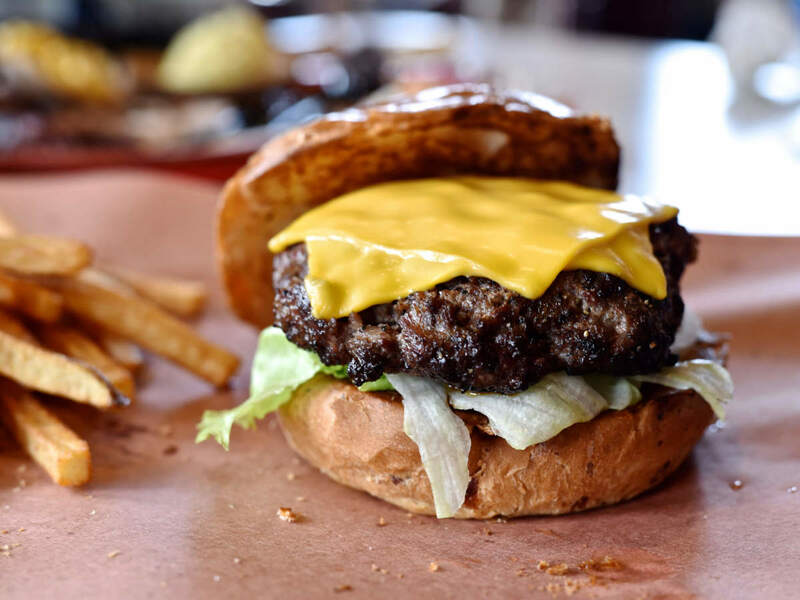 The griddle cooking, potato bun and Thousand Island-style burger sauce are all reminiscent of Shake Shack, but Killen sets himself apart with a custom beef blend and the patty's substantial, 10-ounce portion. 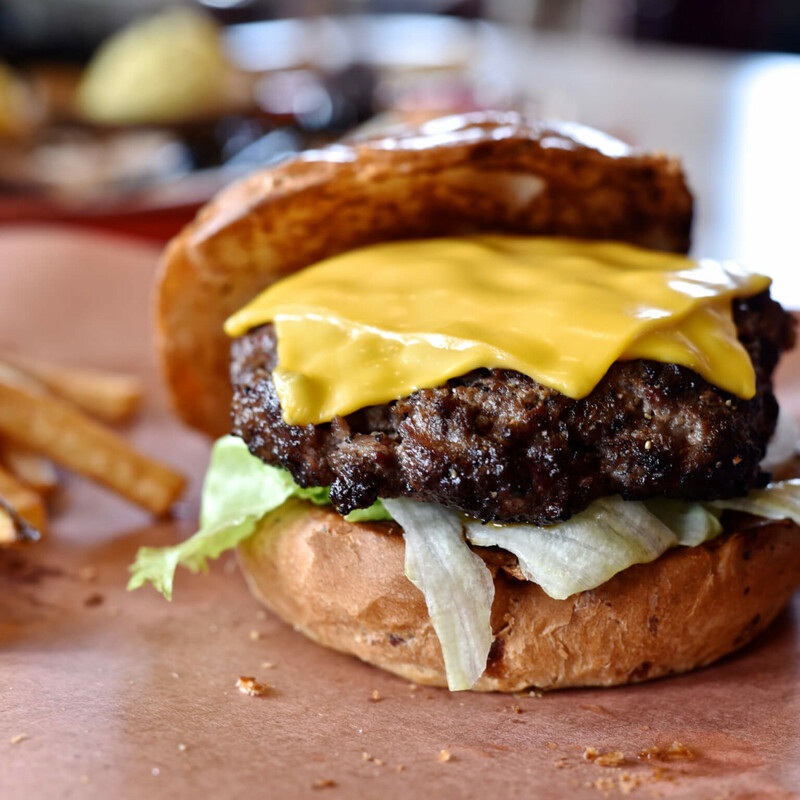 Watt has also influenced the menu; the "#99 Burger" features two 10-ounce patties, bacon, and Wisconsin cheddar cheese. Hours are 11 am to 9 pm Sunday through Thursday, 11 am to 10 pm Friday and Saturday. 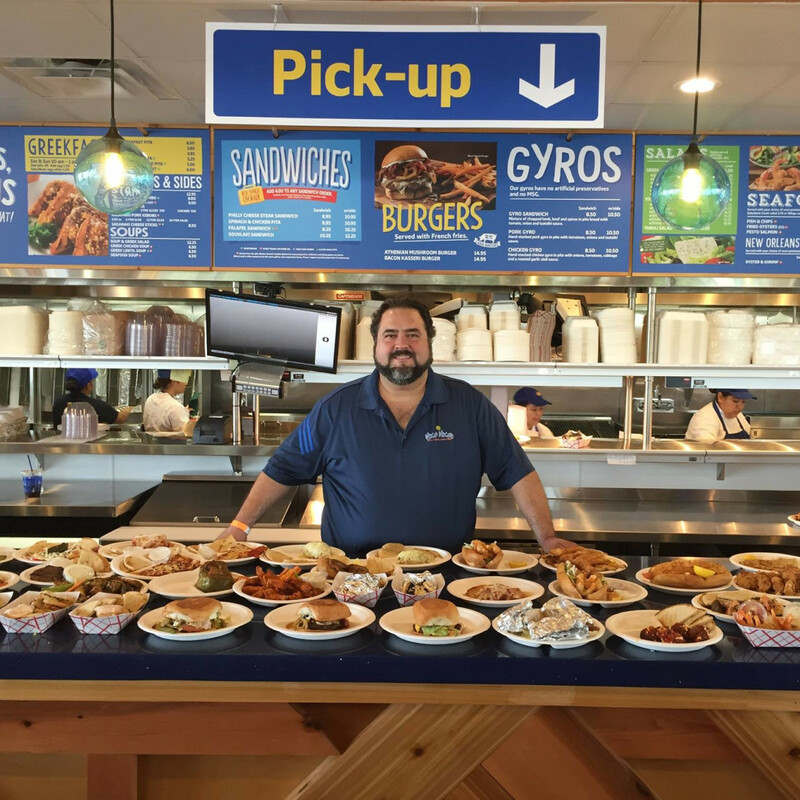 The beloved Greek restaurant that's been a Montrose staple since 1977 has finally opened its Spring Branch location. 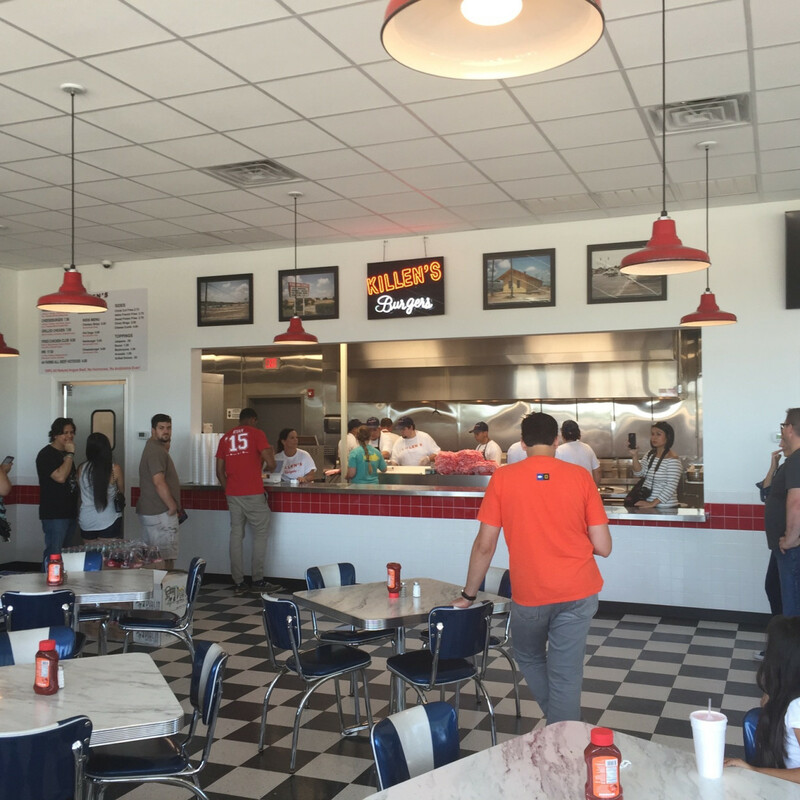 Formerly a Chili's, the restaurant at the intersection of I-10 and the West Sam Houston Parkway has been given a comprehensive makeover. The 6,000 square foot space features plenty of seating, as well as a patio. 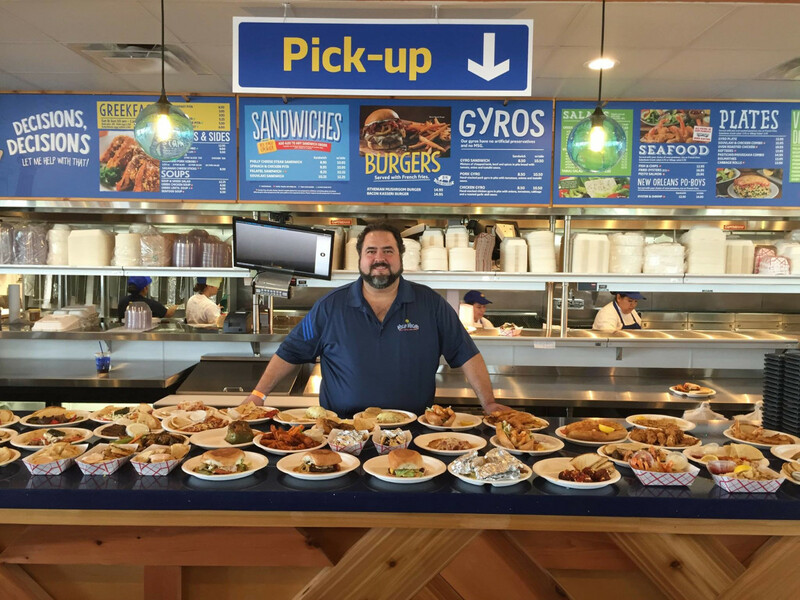 Diners will find the familiar menu of favorites like gyros, lamb plates, and the essential lemon potatoes. Of course, pastries and coffee are accounted for, too. The restaurant will only be open for dinner (3 to 10 pm), but will add lunch and brunch hours soon. 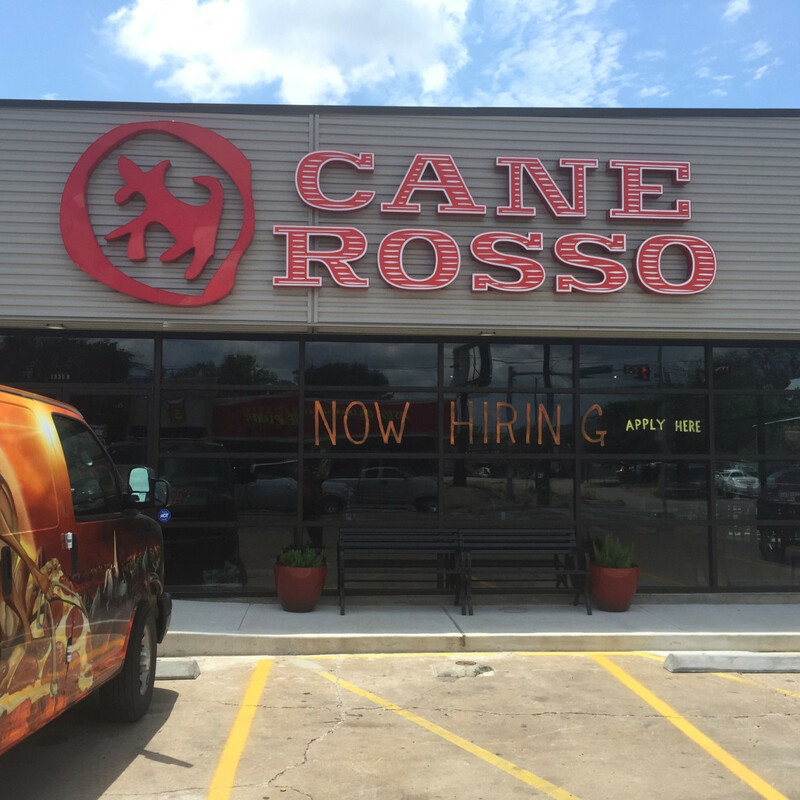 With locations in Texas, California, and Mexico, this Italian spot serves as the most-popular restaurant from Dallas-based Lombardi Family Concepts. Whereas its sister restaurant Toulouse features an expansive patio and large bar, Taverna's space is mostly devoted to indoor, full-service dining. Brick walls and colored concrete floors give the space a warm, welcoming atmosphere. 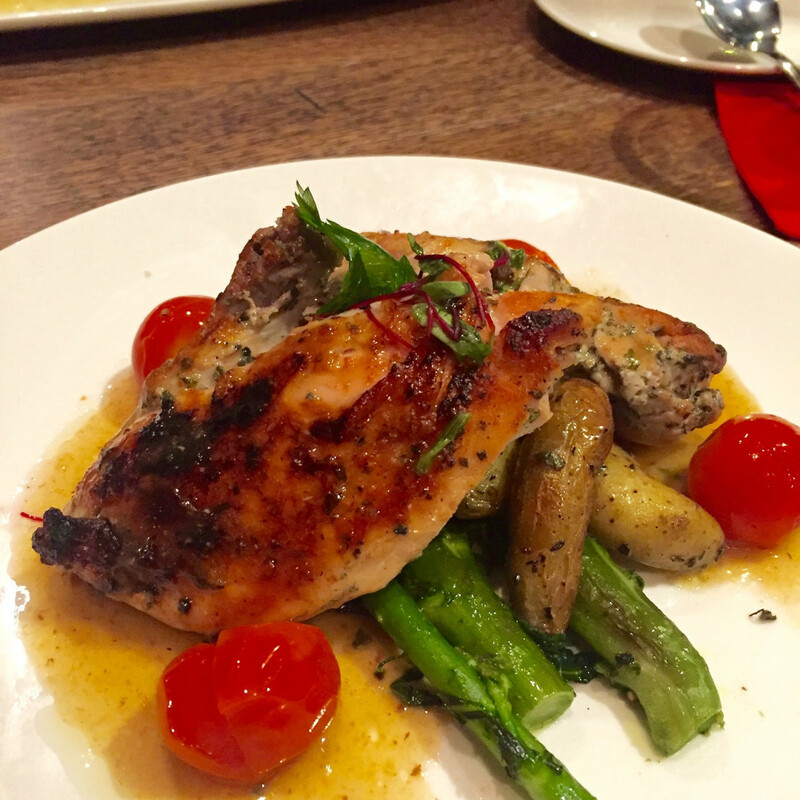 Think of it as a restaurant that's a little fancier than places like North Italia and Giacomo's but more casual (and a little trendier) than the original Carrabba's. The menu features fairly classic Italian fare, centered around a range of pizzas, risottos, and homemade pastas. On a visit during the soft opening, friends and I enjoyed ravioli filled with Swiss chard, risotto with mushrooms and parmesan and roast chicken with vegetables. We even managed to find a little room for nutella tiramisu. If the well-dressed crowd is any indication, it will see a similar frenzy to what Toulouse has experienced. 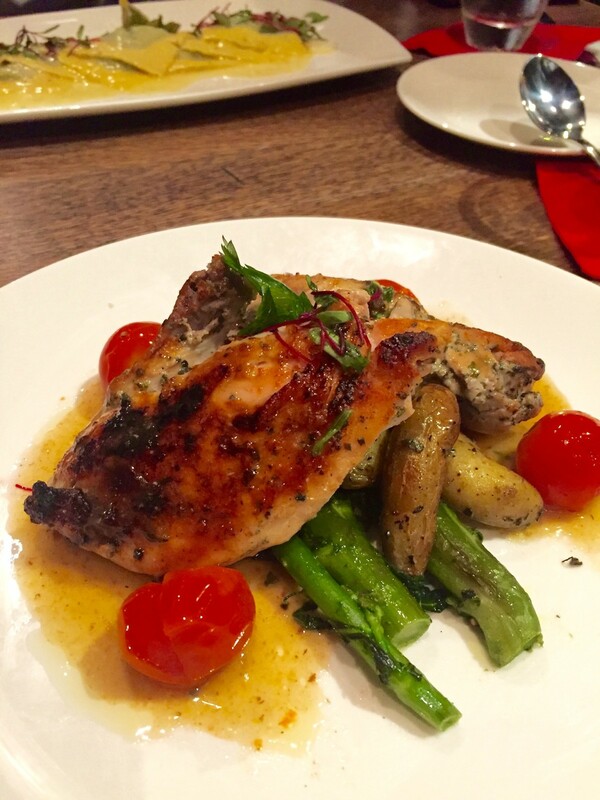 Taverna is open for lunch and dinner; brunch starts this weekend.